The amount and type of products you will be selling on your website depends on your physical product disposal. On your Online store, however this is managed by the Inventory feature and in the next few lines of this tutorial we will show you how to configure the settings for your Inventory. 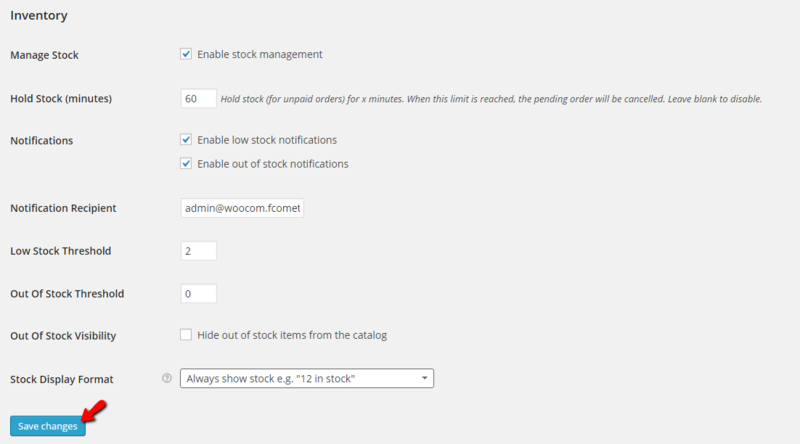 As this is one of the WooCommerce option settings page you will be able to find it under WooCommerce>Settings >Products>Inventory. Keep in mind that the Inventory is a small menu link which you will be able to find under the Products tab once you access the WooCommerce Settings page. It’s a bit tricky to find. Once you are done with the changes please use the Save Changes button so all of the performed configurations can be saved. Congratulations! 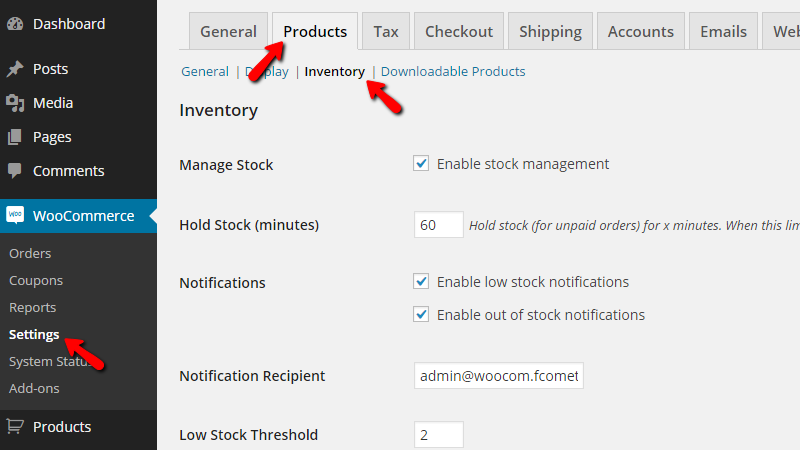 You are now able to configure the options for the Inventory Management on your WooCommerce Online Store!